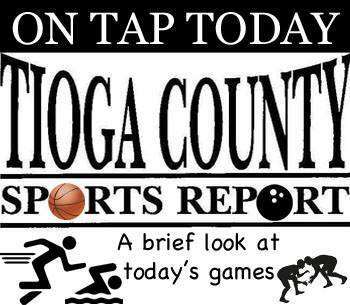 TIOGA COUNTY - Six of the eight Tioga County wrestlers are still alive at the 2019 NYSPHSAA Division II Wrestling Championships. Five are in the semifinals at the Times-Union Center in Albany. Also on the schedule is the Section IV Class C boys basketball quarterfinal at S-VE with the Panthers hosting Newfield. NYSPHSAA Division II Championships, 10 a.m.: Newark Valley's Trentyn Rupert (285 pounds) and Tioga's Brady Worthing (132), John Worthing (138), Austin Lamb (145) and Stephen Taylor (285) have reached the semis and are guaranteed a top-six finish. Owego's Cam Bundy (170) needs to win his first match today to place. The consolation finals begin at 2 pm. and the championship finals start at 6:30 p.m.
Newfield (14-8) at S-VE (15-3), 6 p.m.: The Trojans have won two of three meetings this season, but S-VE took the one on its home court.